Getting in shape is of the most important yet overlooked things that we must do because of our busy schedules. Either you slave to the grind to make a living or you’re fully occupied in your social responsibilities, people simply find it hard to find time to work out. Fortunately with the advent of information technology, we now can incorporate callisthenics and drills simultaneously in the conduct of our mundane lifestyle. And with the help of the fitness apps, we can monitor our activities without necessarily committing extra time to do our workouts. Following are the ten of best free fitness and workout tracker apps for Android that you can use to help you stay fit and healthy while doing your daily routine. 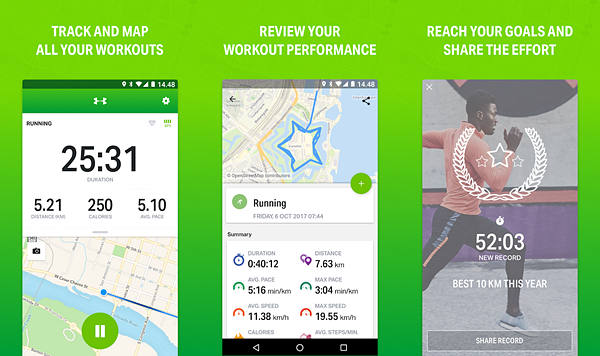 This free workout app basically serves to track your running, walking and jogging activities specifically the distance you have covered, time, speed and elevation as well as the calories you have burned among others. The greatest thing about this fitness tracker app is its simplicity and easiness to use, which makes it popular to any average Joe or Jane who wants to check their calories. The free fitness app would automatically recommend if you need to make a run so that you can reach that required level of calories to burn, which could otherwise be too extreme for others. And to make your running more fun and exciting, it provides you with new and safe running courses or paths that can spice up your jogging activities. Perfect for people who are self-sufficient and self-reliant, this fitness app is an all in one fitness trainer and exercise buddy that provides daily workout routines for keeping fit, burning fat or building muscles without the need for equipment or going to the gym. All strength training exercises this free workout app recommends are designed using your own weight and can be performed at the convenience of your own home. And like your training coach or tutor, it records your progress by monitoring your weight, reminding you of your schedule, advising which muscles you need to tone and even sharing your improvement to your friends via social media. 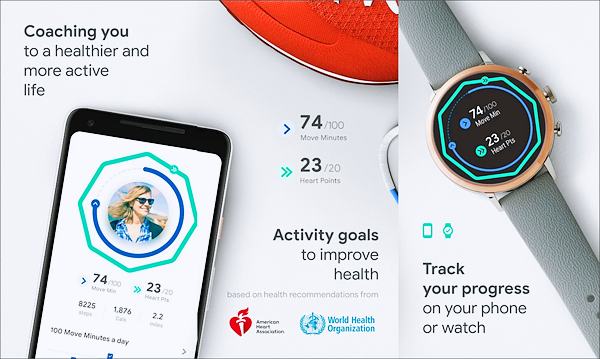 Developed by Google in coordination with the World Health Organization (WHO) and the American Heart Association (AHA), Google fit basically focuses on tracking your motion and your heart beat to monitor your health. This Android fitness tracker app works under the principle that activities that get you moving as against being idle or still and actions that get your heart pumping are the two measures of a good exercise. Thus, it counts all your body movements as part of your exercise which it measures against the recommended amount of physical activity by WHO and AHA. In this manner, you are able to incorporate workouts in your daily routine such as by taking the stairs instead of the elevator or escalator or catch up with a friend by doing a vigorous activity instead of simply watching a film or getting a drink. 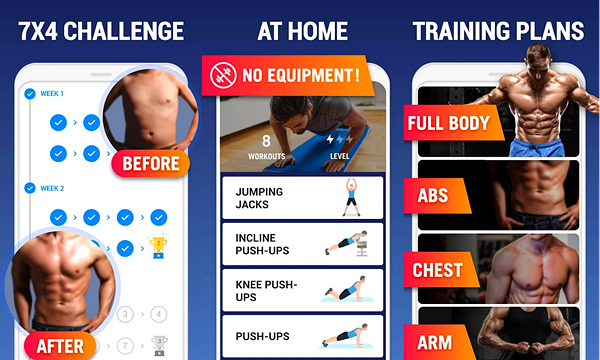 This ultimate personal trainer app offers a range of various workouts designed to improve strength and endurance or flexibility and meditation, with the help of famous Nike personalities in each drill. It provides training exercises for all levels. Whether you’re vying to become a sports athlete, maintaining a slim body or just getting started, this free fitness app can create personalized training programs custom fit to your needs and schedule for you to reach that body you want. It comes with expert advices from trainers to help you focus and reach your goals. And you’ll get inspired by famous Nike athletes like Michael Jordan, Cristiano Ronaldo, Serena Williams or Kyrie Irving, among others. Made by Under Armour, the Endomondo app similarly have all the typical functionalities of the best fitness app, including tracking your workout, analysing it and providing feedback and recommendation for improvement, setting schedules and workout goals and even getting social by following your friend’s work out activities and progress in real time to set you in for a challenge. 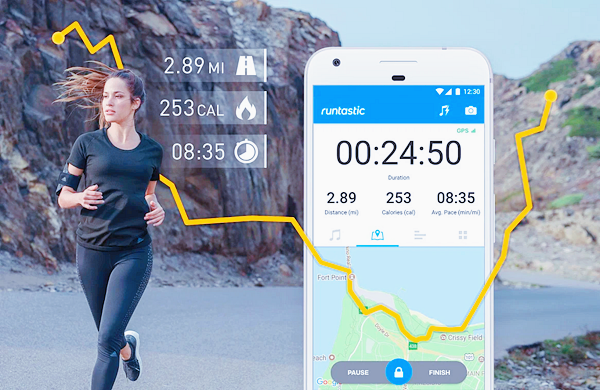 This fitness tracker app perfect syncs with other apps such as Garmin Connect, Polar Flow and TomTom as well as wearables such as BTLE speed and cadence sensors, MyFitnessPal and even Google Fit among many others. 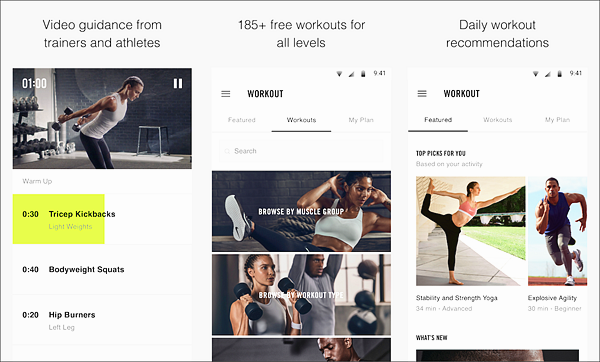 FitNotes is an ad free workout tracker app for Android with ease of navigation and use. 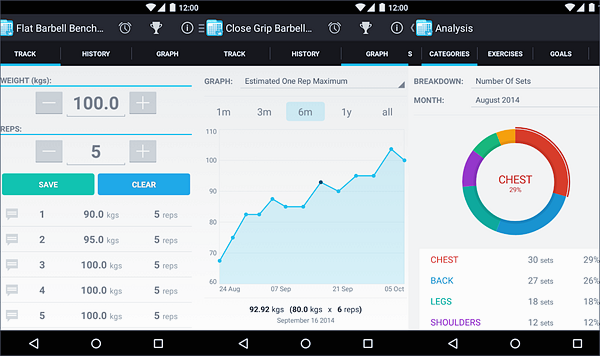 This app is for straightforward workout trainees in serious business that needs no hassles and no nonsense. You can add your own notes to your workout log, put them on your exercise database, build a routine program and calendar as well as make a backup storage to keep your records. 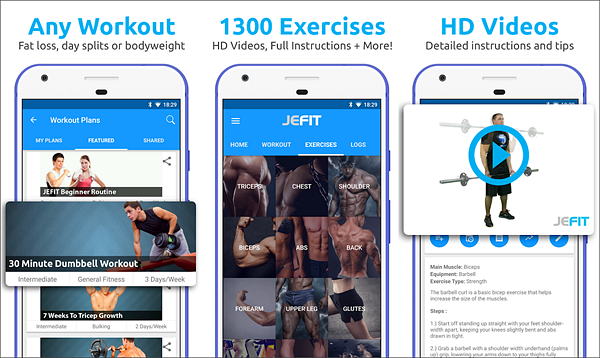 With over 8 million people attesting to this app, you can be sure that JEFIT Workout Tracker is on top of the heap when it comes to tracking your workout and keeping yourself fit. Aside from the standard functionality of fitness tracking, this health tracker app provides thousands of workouts for different levels supported by demonstrations in HD videos. It regularly offers its users monthly fitness challenges where you can win cash prizes to help you stay motivated. As its name implies, this fitness app specializes in counting your calorie intake. It takes getting fit in a different approach by tracking what you eat. Apparently, getting fit does not only rely on how much calorie you burn, it equally depends on how much calorie you consume. You are what you eat and the amount of food you take will essentially determine how big you can become. Thus, you should be equally conscious on your food intake in order to keep yourself healthy and fit. 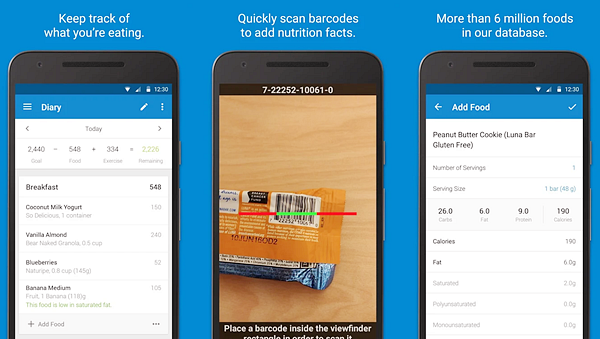 This health tracker app helps track food by a range different methods such as providing you with a large database of food, scanning barcodes of foods to check their calories, providing food insights and recommending healthy food recipes among many others. You can sync other fitness tracking apps to complement your venture towards a healthier you. 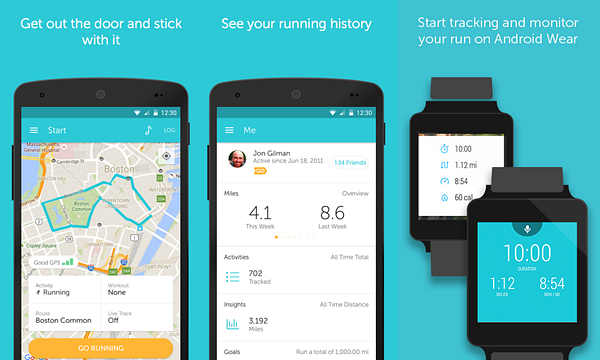 The Runkeeper app is a simple and trouble free tracking app to doing your exercise. While it keeps tracks of any strenuous activity, it laid emphasis on walking or running as the best exercise to keep you fit and healthy. After all, this activity provides a whole body workout with minimal effort that is stress free compared to other exercise activities. Runkeeper keeps everything simple, which makes it the fitness app of choice of many average people. One of the best fitness app for Android, Female Fitness is especially designed for women who want to lose weight or keep themselves fit. By focusing on women, it provides training regimes that is specifically intended to contour the female figure to attain that perfect bikini body. Its workouts are specially focused on reducing that lose belly, tightening those butts and reshaping your physique to highlight your female assets. As a complete female fitness app, it provides workout tracker, progress monitor, training videos, calories burned and coaching tips. There are thousands of best fitness apps for Android that are available for free, which you can use to perform your training and exercise regimen and live healthy and strong. These apps however only offer support to your workout efforts. They are only as good as how you faithfully follow their instructions and recommendations. They will not do the workout for you. You will be the one to do that hard work and sweat it out to reach your goal of getting fit and reaching that perfect body. 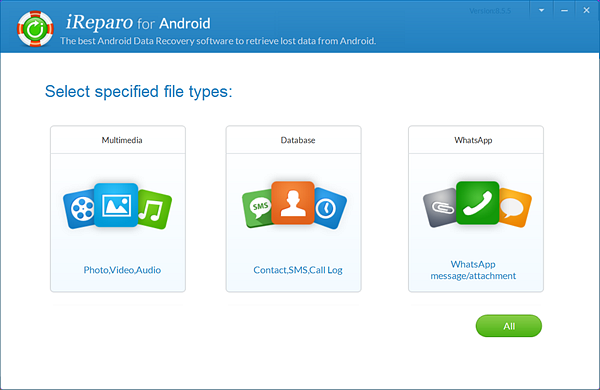 iReparo for Android is a powerful, user-friendly and easy-to-use Android phone data recovery software that can be used to recover accidentally deleted or lost contacts, text messages, call logs, photos, videos, music and other important files. The software supports various brands of Android devices, such as Huawei, OPPO, Vivo, Xiaomi, Samsung, LG, HTC, Motorola, Google Pixel, OnePlus, Sony, Lenovo, ZTE and more. Whether your data is lost due to accidental deletion, factory reset, system upgrade, formatting, device failure, software crash, virus attack or other reasons, you can easily retrieve them with this Android file recovery software.